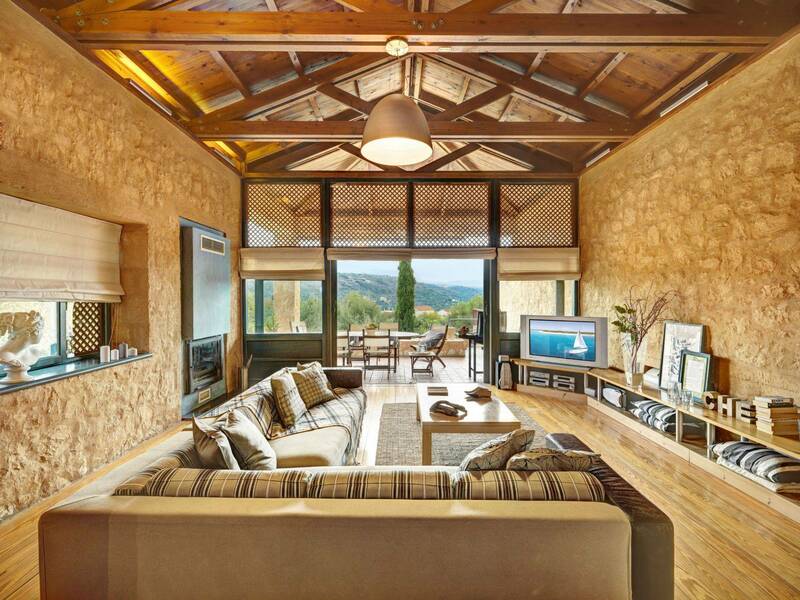 “Apokoron Luxury Villas” is a collection of five elegant stone built Holiday Villas. 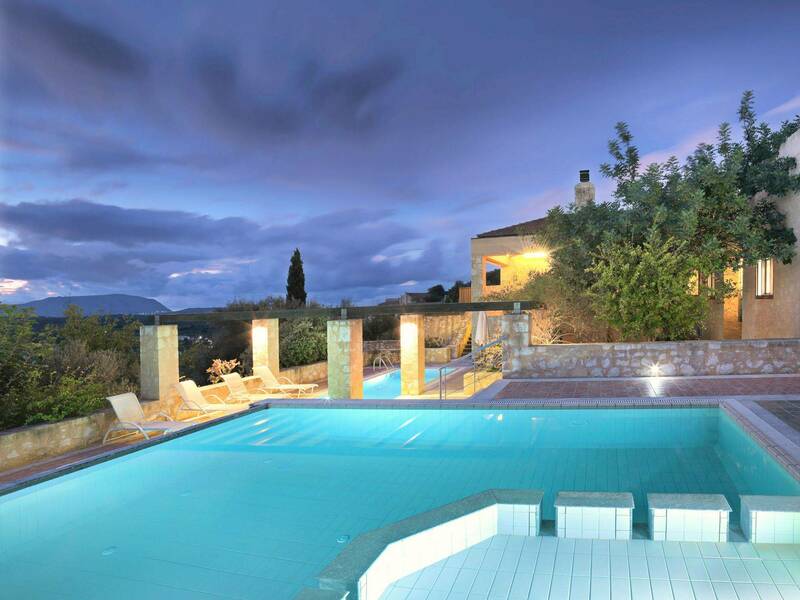 The villas are among the largest and most luxurious in western Crete. 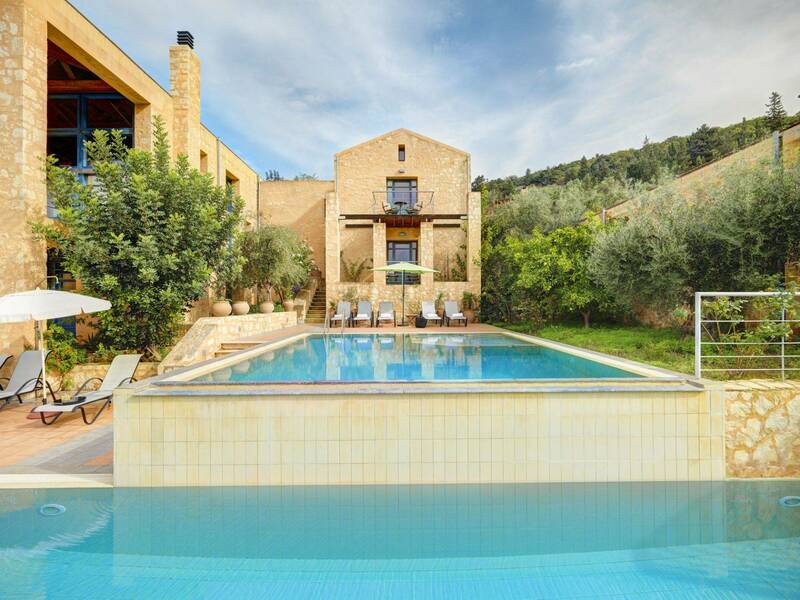 Each villa features living space of 220sqm to 350sqm with private grounds of 600sqm to 1000sqm and single or dual private pools with a breathtaking 45km view of the valleys leading to the White Mountains. Shopping and fine dining is only a walk away. The gorgeous beaches of Almirida and Georgoupolis are minutes away by car. 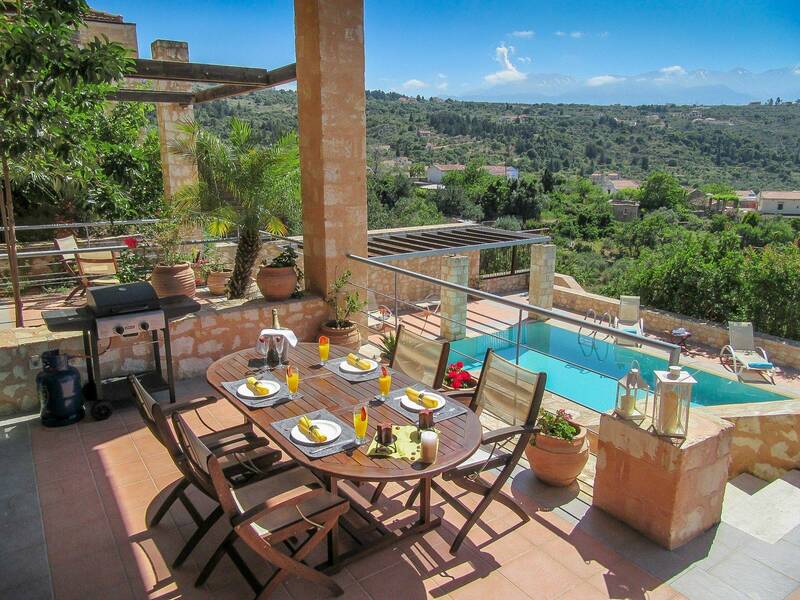 The villas are located on a hillside in the village of Gavalochori in West Crete. Gavalochori is a traditional Cretan village situated in the Apokoron region about 3km inland from the coastal village of Almirida. 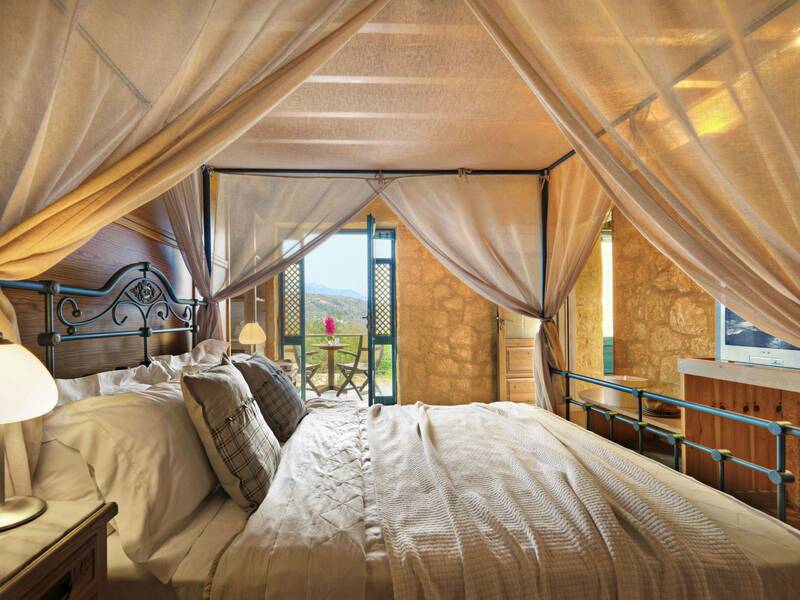 Its location is 25 km east of Chania which takes about 20 minutes drive along the National Road. Gavalochori is an old historical village with approximately 500 residents which has retained its color and way of life. Several family run tavernas offer the visitor tasty dishes of Cretan cuisine. Near the small village square and within walking distance from the villa there is a coffee shop, a bakery, a mini mart, two tavernas and the Folk Art Museum. 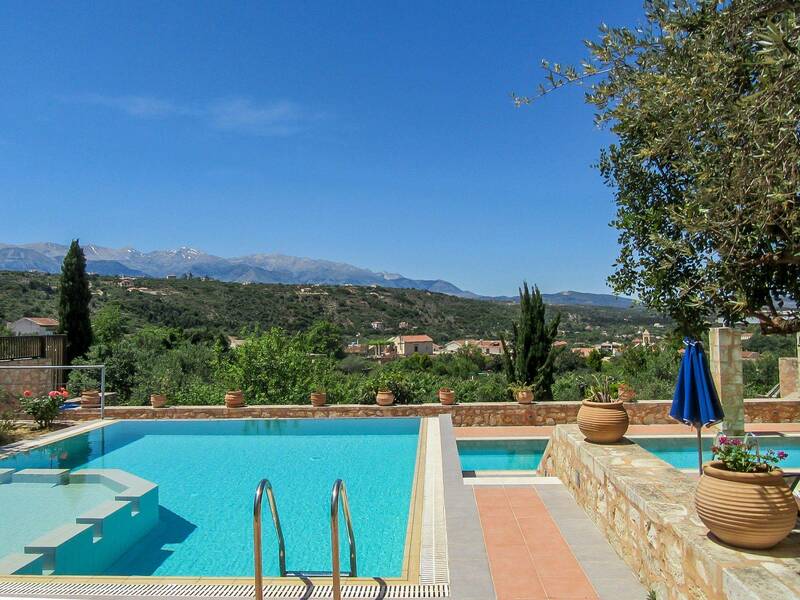 The villas can be used as a base for visiting several points of interest in the area: 3km to nearest beach of Almirida, 10km to the exquisite beach of Georgoupolis and Kournas lake, 25km to Chania town for shopping and night life, 15km to seaside village of Kalives, 20km to port of Souda, 45km to Chania airport (code CHQ), 60km to Rethimno town, 150km to Heraklion airport (code HER), 45km to the west coast beaches of Falassarna, Gramvousa and Balos, 70km to south coast beaches of Elafonissi, Paleohora and Sougia, 60km to Omalos Plateau and starting point of the Samaria Gorge. Visit our Blog page for great holiday ideas! Are basic food and provisions available upon arrival? Is babysitting service available? Are baby cots available?